You would think that with a nickname like “The Cowboy Capital of the World”, the city of Prescott would come straight out of the old Western movies of yore complete with desert landscapes dotted with cactus and scorching summer days. 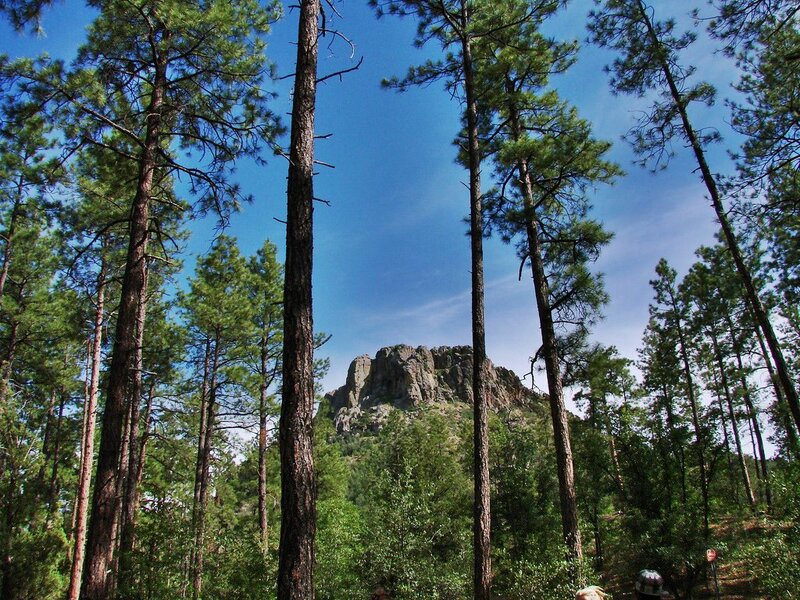 Instead what you have is a thriving city, rich in diverse culture and history, and surrounded by forests filled with ponderosa pines and scenic trails that can be explored any time of the year thanks to the area’s mild temperatures. Prescott City never did wanted to be just like another Arizona town. Much of Prescott’s history is concentrated in the downtown area. There are over 800 historic buildings to visit in the city, some of them recently restored like the Elks Opera House and currently back in business. Here in Downtown Prescott you will find the Sharlot Hall Museum and the Smoki and Phippen House where many local art collections are displayed. You will likewise find Whiskey Row, famously remembered for being a red light district and favorite hangout of the likes of Wild West icons Doc Holliday and Wyatt Earp. Today Whiskey Row is another historical destination of tourists who are given the chance to take part in a more sedate version of the original Whiskey Row notoriety while exploring the area’s historic buildings which have been converted to book stores, restaurants, art galleries, and even boutiques. Aside from the Western-influenced buildings, you can also find restored Victorian homes lining the thoroughfares of Mount Vernon Street. Aside from the notable cultural and historical offerings, Prescott City has a variety of outdoor recreation and activities for tourists who want to further explore the wild beauty of Prescott. Water enthusiasts are in for a special treat because of the four small lakes in the city which are suitable for fishing, boating, and nature watching.